The waste collection process is a critical aspect for the service providers. The traditional way of manually monitoring the wastes in waste bins is a complex, cumbersome process and utilizes more human effort, time and cost which is not compatible with the present day technologies. Irregular management of waste typically domestic waste, industrial waste and environmental waste is a root cause for many of the human problems such as pollution, diseases and has adverse effects on the hygiene of living beings. In order to overcome all these problems, we are proposing the idea of the smart waste management system which helps in auto-management of waste without human interaction in order to maintain a clean environment. 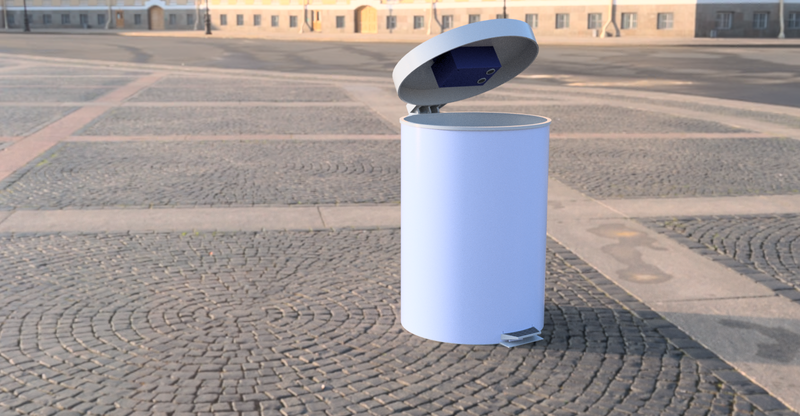 Sensor Based Waste Collection Bins are used to identify the status of waste bins if it is empty or filled so as to customize the waste collection schedule accordingly and also save the cost. The real-time waste management system by using smart bins to check the fill level of smart bins whether the dustbins are full or not, through this system the information of all smart bins can be accessed from anywhere and anytime by the concerned person. It will inform the status of each and every dustbin in real-time so that concerned authority can send the garbage collection vehicle only when the dustbin is full. By implementing this system resource optimization, cost reduction, effective usage of smart bins can be done.